 Pat Testing is an essential electrical safety service that will ensure all of your appliances are safe and will remove any of dangerous appliance. Full visual inspection & electrical testing of each of the appliances at your business. Conducted with specialised machinery to spot any possible faults. Each Appliance will be labelled with a barcoded ID tag with dates and results printed on them so that is clear that each of your appliances have been tested. Pat Testing is new to many businesses in Ireland and so understanding what it is, why it’s needed and most importantly what you get from pat testing is essential for making a good decision on it. Keep your business and your staff safe from electrical injuries caused by appliances. Our staff can spot faults that could result in your appliance not lasting as long as it should. Having your appliances tested allows you to show that you were being safe and cautious. Keep your business legally compliant with the Safety, Health, And Welfare At Work 2013 / S.I No. 291 of 2013. The majority of Irish Insures now require that you have your appliance pat tested so that you can prove they were safe in case of accidents. Keep your staff safe at work, don’t allow a faulty appliance to hurt one of your team. A recent case involving an injury and where the business had no Pat testing results in a €7000 payout. WHAT IS THE ‘PAT TESTING’ LAW? Under the Safety, Health and Welfare at Work (General Application) Regulations S.I NO.299 of 2013 it is now a requirement under Irish law that all businesses’ are obliged to carry out testing on all portable appliances to ensure the safety and welfare of both employees and customers. The frequency of testing depends on many factors such as appliance use, the area of use, user, age, and class of appliance. The majority of our clients begin testing annually. After several years of testing, we use these reports to then carry out a risk assessment with the client. With the results of this risk assessment, we then decide with the client to shorten or extend the frequency of testing. The most straight forward way to think of this is an appliance that has a plug on the end that plugs into a socket is a portable appliance. Examples of portable appliances in an office include PCs, Monitors, Printers, Extension Lead. Examples in a kitchen include Fridges, Microwaves, Toasters, Kettles. Examples on a construction site include Hand Drills, Power Reels, Battery Chargers. In the event of an appliance failing, our technicians in most situations will be able to repair the appliance on site for you. If unrepairable it will be put in quarantine to protect your business and staff. Yes, testing portable appliances is a legal requirement under the Safety, Health and Welfare at Work Act 2007 S.I. 299. Can It Be Done During Working Hours? Yes, with our highly skilled technicians they can carry out testing without disturbing your day to day business.